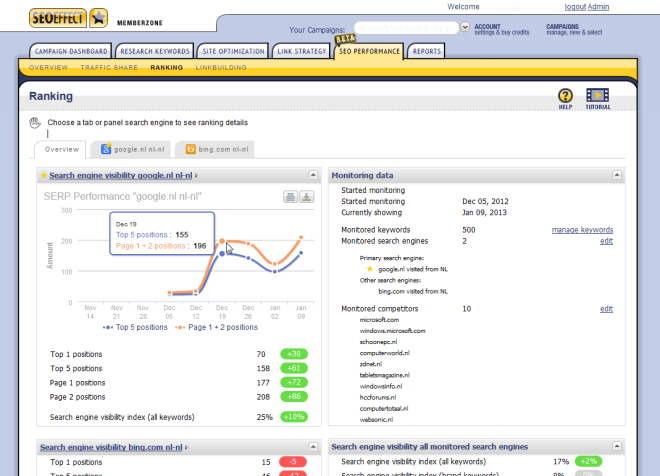 The ‘rank checker’ monitoring tool helps to monitor the SEO performance per keyword or per group of keywords. You can keep track of what changes on your site result in a positive or negative effect. Also keep an eye each week on which of your competitors is making an SEO effort. 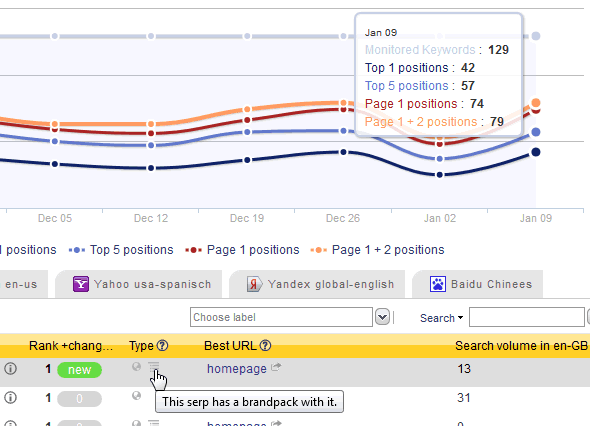 Measures rankings in 5 search engines: Google, Bing, Yahoo, Baidu and Yandex. Lets you choose from 255 country – language combinations. That should do for most multi language projects. Monitors up to 500 keywords per site (for even more, contact us). Tracks rankings for up to 10 competitors. 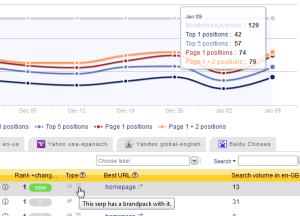 As an addition to the above you can even define search engine profiles that track local rankings. So track how your store or brand is presented in Amsterdam, Berlin, London, New York, Stratford upon Avon or Stillwater Minnesota. As you now Google is keen on mobile rankings. With the label ‘Mobile ready’ in the SERPS, and all the webmaster tool warnings its even more important to see if Google is ranking your site different on desktop versus mobile. After setting up your rank checker, everything is fully automated for a weekly update. Every URL of your site is logged, not only the best scoring URL (as many other tools do. For each Result from Google, you’ll also see the universal Search types: sitelink, rich snippets, video, news, images, Google Maps and even normal search results!